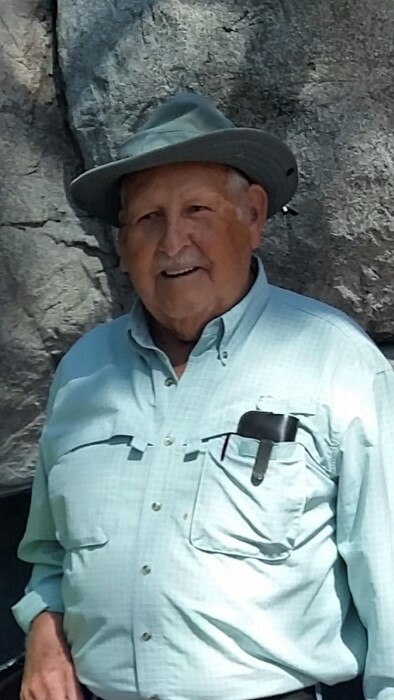 Chester Wilson Lane, 88, of Morgantown, passed away at 11:40 p.m. on Monday, April 8, 2019, at Franciscan Health Indianapolis, in Greenwood. Born September 27, 1930, in Piqua, Ohio, Mr. Lane was the son of William A. and Grace B. (Preston) Lane. He married Shelvia Ann Hendricks on May 8, 1955, in North Vernon; she preceded him in death on August 27, 2018. Mr. Lane attended school in Paris Crossing and served in the U.S. Army from 1951-1953 in Korea. He worked as Transport Supervisor for Wake Up Oil in Indianapolis, retiring in 1993 after 40 years. He was a former member of Bluff Creek Christian Church in Bluff Creek and the Valley Riders Saddle Club in Franklin. Mr. Lane enjoyed horses and spending time with his grandchildren and great-grandchildren. Survivors include sons, Tod Alan Lane of East Enterprise and Kenneth Garrett Lane of Morgantown; six grandchildren, William Lane of Franklin, April (James) Ayler of Madison, Sabrina Coghill and Josie (TJ) Anderson, both of Greensburg, Sara Cramer of Trafalgar, and Amanda (Josh) Shanafelt of Greenwood; and six great-grandchildren. He was preceded in death by his parents; his wife; daughter-in-law, Mary Evelyn Lane; brother, James H. Lane; and sisters, Betty Holderfield, Ima Jean Brand, and Doris Champod. A funeral service for Mr. Lane will be at 1:00 p.m. on Saturday, April 13, 2019, at the Dove-Sharp & Rudicel Funeral Home and Cremation Service in North Vernon with his son, Tod Alan Lane, officiating. Family and friends may call at the funeral home on Saturday from 11:00 a.m. until the time of service. A committal service will be held for Chester and Shelvia Lane at 12:00 p.m. (noon) on Saturday, April 20, 2019, in the Hopewell Cemetery on Highway 3 South in Jennings County with military graveside rites for Mr. Lane. Memorials may be made through the funeral home to the Veterans Administration.